The Elm Creek Watershed Management Commission is the regional governmental unit responsible for protecting the water resources of the Elm Creek watershed, located in Hennepin County, Minnesota. We invite you to browse our site using the tabs above. For your convenience, the links below provide quick access to commonly requested information. Please check back often as updates are made frequently. ​The Elm Creek Watershed Management Commission meets on the second Wednesday of each month at 11:30 a.m. in the Mayor's Conference Room at Maple Grove City Hall, 12800 Arbor Lakes Parkway, Maple Grove, MN. The agenda is updated seven days prior to the meeting. 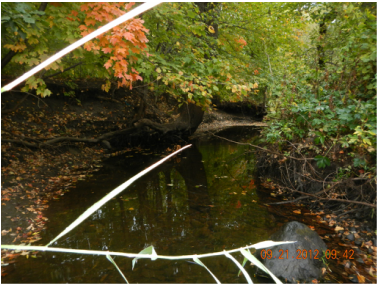 The 2016 Elm Creek Watershed Total Maximum Daily Load (TMDL) study established pollutant load reductions for numerous impaired lakes and streams in the Elm Creek watershed in Hennepin County. Among the implementation actions identified in the TMDL and the subsequent Watershed Restoration and Protection Strategy (WRAPS) report was the systematic completion of Subwatershed Assessments (SWA). A SWA is a more intense, finer-scaled look at a small area of land to identify potential pollutant load-reducing Best Management Practices (BMPs) down to the field or lot level. A SWA provides the framework for targeting BMPs to where they will be most effective at improving and protecting downstream water resources, and where they make the most sense based on soils and topography. The purpose of the Rush Creek Headwaters SWA is to evaluate conditions in that part of the Elm Creek watershed that is tributary to the upper part of the North Fork Rush Creek and to the upper part of the South Fork Rush Creek as well as the area draining to Henry Lake. The outcome of this SWA will be a prioritized list of the most feasible and cost effective practices to address the requirements of the several impairments in this study area. Commission, Hennepin County, and City staff and other partners can then work with willing landowners to implement these practices.